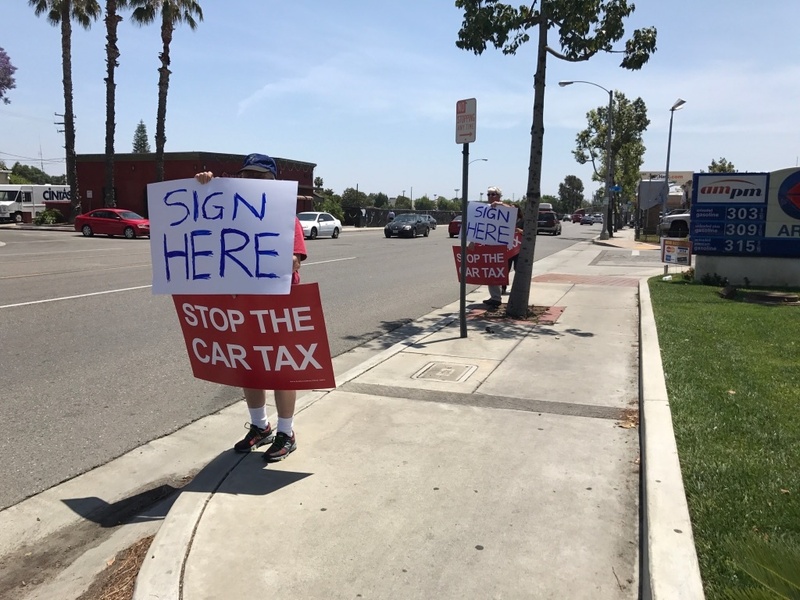 Conservatives want to recall state Senator Josh Newman (D-Fullerton) as part of an effort to repeal recent gas and vehicle tax increases and eliminate the Democrats' supermajority in the legislature. California Democrats fast-tracked a bill Thursday that could help protect one of their own lawmakers facing a recall and preserve their Senate supermajority after a court put their first attempt on hold. Republicans hope to recall freshman Sen. Josh Newman, D-Fullerton, over his vote to increase the gas tax. County election officials say they have turned in the more than 63,000 signatures needed for the recall to proceed. Voters will now get a chance to remove their signatures under the legislation, passed by both chambers Thursday and immediately signed by Gov. Jerry Brown. Newman and his allies say voters who signed the petition were tricked by signs and signature gatherers urging them to repeal the gas tax, not recall a lawmaker. Newman said he already has 2,257 declarations from voters who want their names removed. 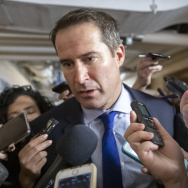 The bill will also delay the recall while the Department of Finance and the Legislature review the costs of holding a special election. The delays will likely allow the recall to coincide with next year's statewide primary, when voter turnout will be higher and Newman will have an easier time motivating Democrats. Still, Newman acknowledged it will be difficult to remove enough names to halt the process altogether. Republicans can continue collecting new signatures, and the names of people who signed petitions are not public, so Democrats can't target supporters and urge them to remove their name. Newman said he plans to canvass the district and set up outside grocery stores and other areas where people signed the petition to seek out more voters who claim they were deceived. Cynthia Bryant, executive director of the California Republican Party, said the GOP will "do everything we can" to ensure the recall proceeds but declined to discuss specifics. "There are over 66,000 valid signatures for the recall, and there's absolutely no reason it shouldn't go forward right now," Bryant said. The perception that Democrats are trying to tilt the election landscape in their favor has angered Republicans, who want Newman to stand for election later this year, shortly after the gas tax increases on Nov. 1. "It is beneath the dignity of this body to change the general election code in an effort to influence the outcome of a single election," said Assemblyman Jay Obernolte, R-Hesperia. Democrats approved the same changes in June as part of the state budget, but the California Court of Appeal put them on hold citing requirements that legislation pertain to only one subject. The Howard Jarvis Taxpayers Association, which sued to block the initial law, has already filed a petition in court over the new bill. "This bill is not about protecting us," said Senate Majority Leader Bill Monning, D-Carmel. "It's about protecting the fundamental democratic right of a voter to be informed honestly and truthfully with what they sign and ensuring they have recourse in the event they find that they were deceived."